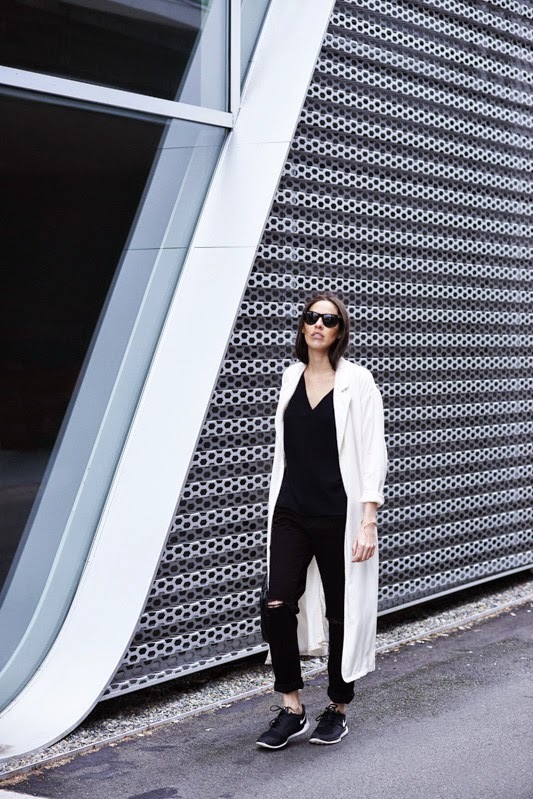 WEARING: Melissa Araujo Tank Top, Front Row Duster Coat, JBrand Jeans, Nike Sneakers, Fendi Spy Bag & Amarilo Jewellery. The boyfriend jeans are not a new trend, but I have to admit I had not yet tried it. When JBRAND Jeans sent me this slim-boy fit pair for under $200 (see HERE), I was thrilled because I liked the clean lines and the details of the ripped knees. I went up a size to give the boyfriend look a chance without going overboard, I rolled up the cuffs so it didn't look frumpy or shapeless. The top I chose to go with it was my own design from the BASICS collection, the Hellen Tank Top. I already know that this tank-top is going to be a staple piece in my wardrobe. 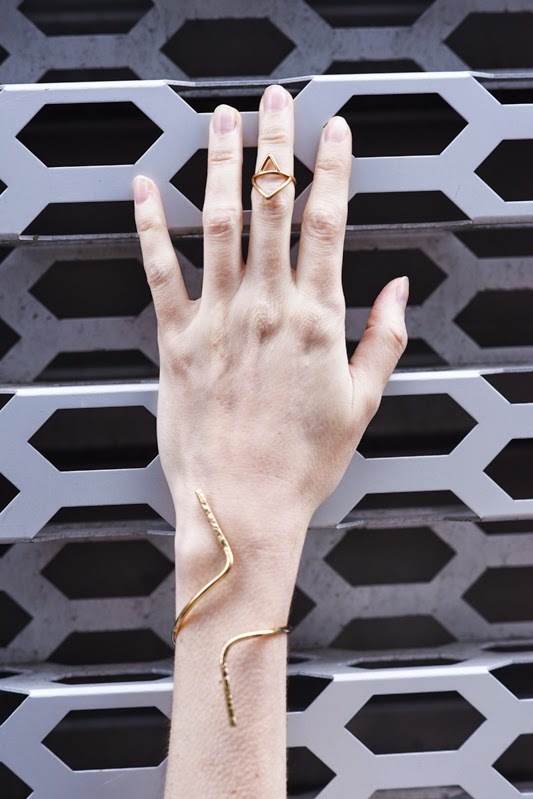 To elevate an otherwise pretty casual outfit I added the Amarilo Jewellery ring and cuff; minimal and geometric. Just how I like it. Perfect! The jewellery is amazing! Boyfriend jeans are huge this season. I totally need to get me a pair. Thanks for sharing! Really love this look, pretty vest, lovely stylish. I love boyfriend! As always loved her look. I love black and white. I can totally see myself wearing those jeans. Great styling with the duster coat. all the sharp details and clean lines including your chiseled cheekbone and fierce sunnies.. amazing!! ahh JBRAND.. always on point!